Avnet, Inc. (NYSE: AVT), a leading global technology distributor, announced the availability of the MicroZed™ Carrier Card Kit for Arduino™, a versatile Arduino-compatible carrier card for Avnet\'s MicroZed system-on-module (SOM). Avnet, Inc. (NYSE: AVT), a leading global technology distributor, announced the availability of the MicroZed™ Carrier Card Kit for Arduino™, a versatile Arduino-compatible carrier card for Avnet's MicroZed system-on-module (SOM). The platform enables designers in markets including industrial control, remote sensing, embedded vision and many other IoT-centric applications, to quickly develop prototypes that combine the MicroZed SOM with the large ecosystem of Arduino shields. The kit is now selling for US$89 and is available in Asia. The MicroZed Carrier Card Kit for Arduino features an UNO R3 Arduino-compatible shield interface that connects to the programmable logic I/O on the MicroZed SOM. This allows designers to develop custom interfaces between the shield circuits and the programmable logic in the SoC. In addition to the MicroZed-to-Shield interface, the carrier card also includes a subset of Arduino-compatible connectors for interfacing MicroZed to a low-power MCU Evaluation board (such as Freescale's Kinetis FRDM-KL46Z). 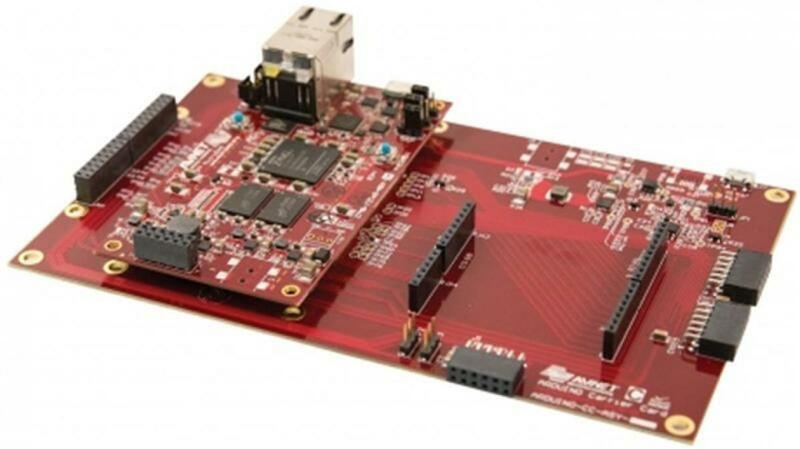 This interface not only provides connectivity between the MCU and processing system in the Zynq®-7000 All Programmable SoC, but also allows the MCU to control MicroZed's power rails, enabling use cases where power consumption can be reduced by offloading routine tasks to the MCU, while reserving Zynq SoC operation for the functions that require its unique processing capabilities. "Avnet's MicroZed Carrier Card for Arduino provides our growing base of MicroZed users with a highly versatile prototyping platform," said Francis Lam, Director, Asia Marketing, Avnet Electronics Marketing Asia. "Through the combination of MicroZed, an MCU sub-system, an Arduino shield and several expansion interfaces, designers will be able to quickly develop their applications from a catalog of off-the-shelf hardware modules, example software code and proven reference designs."